For all skin types. Especially beneficial for super sensitive, reactive, dehydrated and mature skin as well as oily and blemished skin. An incredibly gentle synergistic blend of two distilled plants to soothe and restore health in even the most sensitive of skins. Flower waters have two purposes in skin care, they can be mixed with oils (moisturizers or oil serums) providing valuable hydration for the skin, and they can be used as a gentle cleanser. German Chamomile is one of the most anti-inflammatory and skin calming herbs used by herbalists and skin care experts. This product is great , I use it under oil for mate at night and lotion in the day , I’ve stopped using serum since buying this product . 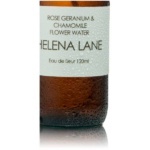 I love the smell of the rose geranium and chamomile flower water. I use it with serum in the morning. My face feels refreshed after using this spray. I haven’t had any reactions to the product. My skin is reactive to most things. I’ve been using the product for about 6 months. My skin absolutely loves this product. My face feel so refreshed and it helps the serum go so much further. I’m so mad at myself for allowing it to run out. This time I’m trying the Rose and Frankincense. I plan to try them all. I love this product! It makes it easier to use the serum and the moisturizer. Who wouldn’t feel refreshed, rejuvenated and absolutely pampered putting pure organic flower extracts on your face? I can’t say enough about Helena Lane’s flower waters. They have a spa-like effect of the face – the skin immediately feels calm, revitalized. It is also a spritz in the right direction for those of us “blessed” with the sudden and unpredictable hot flashes of menopause. I love it for fly-a-ways too. It comes packaged in a glass jar and is made with only a few pure organic ingredients – it doesn’t get any better than that – thank you Helena!! I have been using this product since 2016. 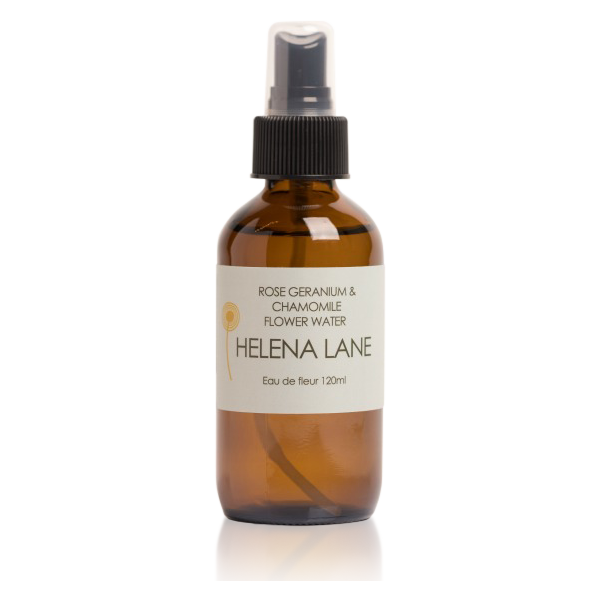 Having hypersensitive skin and rosacea , this floral water is as wonderful and as nourishing for my skin as all the other products . The smell is divine ! I begin my morning routine with the floral water , followed by the serum , sunscreen ,then the moisturizer. After I am finished with my evening routine , I allow my skin to breathe by applying only the flowered water. 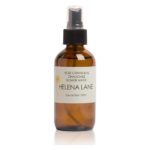 Thank you ever so much Helena for your excellent products ! How lucky are we ?